One thing I use is simple green. It gets stains out of anything. Another thing to use which may not sound safe, but I have yet to see any signs of this is brake clean. I would go with spraying simple green directly onto the stain and scrub the living hell out of it. i to love to detail cars. one thing that i found very effective is using Invisible Glass with a micro fiber cloth on your windows. Formula 2001 for your dash, and tire shine gel applied with an applicator for your tires. try the dice electronis ipodintegration kit,it holds up nicely for the price it is and makes things so much easier. 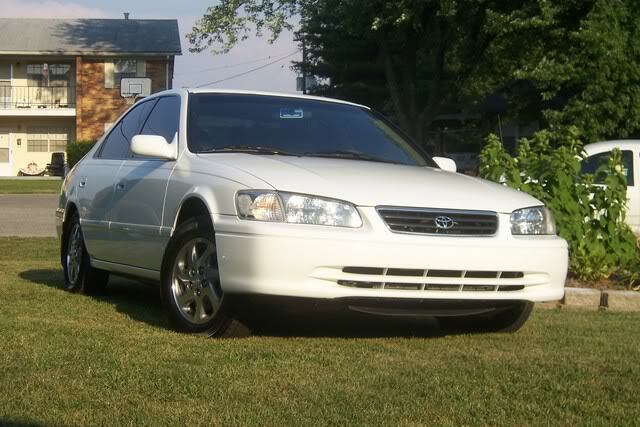 i have an old skool '98 Camry and that thing can blast some music! check it out if you can,you'll trip out how small it is too man. How does that have anything to do with detailing? If it is the beginning my OCD car care season I was the car with dish soap to remave the old wax. I claybar the car with Mothers clay bar kit, keeping a bucket of soap handy to lubricate the clay. After the paint is leveled and clean of oxidation I hand wax the car with Mothers cleaner wax. This reduces the swirls and gives the car a deep luster. Then I follow it up with a thin coat of NuFinish polish. I make a bucket of really cold water, sometimes adding ice to make sure that it is good and cold and I will submerge a microfiber towel in it and drag it accross the paint. I dry it and then apply another coat of NuFinish. I have found that by doing this the polish will actually last longer as it is advertised to last one year and we all know our elements are too harsh for any polish to last a full year if you don't always put it in the garage. I follow the polish with your basic Turtle Wax Carnuba Wax. It helps to protect the polish and gives a great shine. I do not use a PC as waxing the car is my time to relax and study every inch of my cars. That is just for the paint. I didn't want to take up a lot of thread space about the glass, leather, moldings, carpet, tint, engine, and rims. 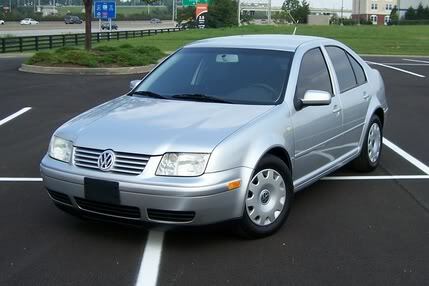 Here is a picture of my old Jetta after I waxed it as stated above. Notice the reflections. yeah same here. i only do it to my car only even thought the front has rock chips everywhere and the left front top fender is starting to fade. but the rest of the car still shine though..